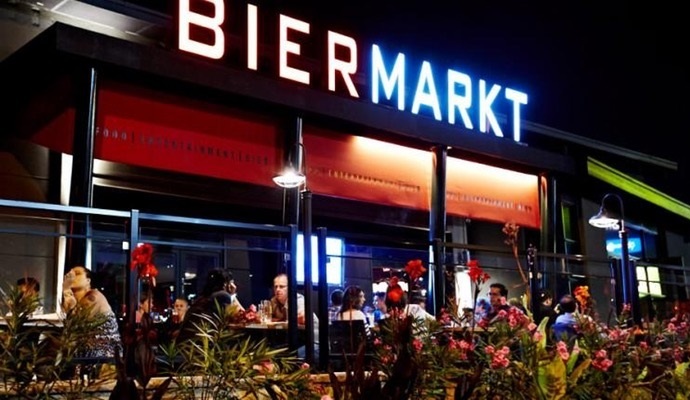 Espace MicroCaps is glad to invite you to its 5to7 Cocktail – Top Picks for 2019 event, which will take place at Bier Markt Montreal on Tuesday, December 11th at 5:00pm. Our events are the perfect occasion to improve your investing skills, discover new investment opportunities in the Canadian microcap space and network with likeminded investors. This month’s event is your opportunity to hear about our top picks for 2019, stocks in which the Rivemont MicroCap Fund owns sizeable positions based on our research and due diligence. Five companies will be profiled including presentations by Louis Dufour, CFO of Xebec Adsorption Inc. (TSX Venture: XBC) and Steve Levely, CEO of Ackroo Inc. (TSX Venture: AKR). The first 75 participants to register and to show up at the event before 5:30pm will receive a $10 coupon for a free drink of their choice. No coupons will be given after 5:30pm. Food will be served during the cocktail as well. The presenting companies have been hand-picked based on the attractiveness of their business model, market opportunity and fundamentals. Managed by Philippe Bergeron-Belanger and Mathieu Martin, Espace MicroCaps is a community of microcap investors with a growth-value philosophy. Our in-depth research and due diligence aims to put our growth capital at work for the most promising public firms in Quebec and Canada with a long-term investment horizon. In January 2018, Espace MicroCaps has been hired by Rivemont as consultants to provide securities and strategy analysis for the Rivemont Microcap Fund. In his presentation, Philippe will share Espace MicroCaps’ three best ideas for 2019. About Rivemont: Founded in 2010, Rivemont is an asset management firm offering innovative investment strategies to investors seeking solid returns with an effective management of the markets’ volatility. Located in Gatineau with an office in Montreal, Rivemont is one of the few Quebec-based firms specialized in investment management. Rivemont currently has $45 million in assets under management. About: Xebec Adsorption is a global provider of gas generation, purification and filtration solutions for the industrial, energy and renewables marketplace. Its customers range from small to multinational corporations and governments looking to reduce their carbon footprints. Headquartered in Blainville, Quebec, Xebec designs, engineers and manufactures innovative and transformative products and has more than 1,500 customers around the world. The company has two manufacturing facilities in Montreal and Shanghai as well as a sales and distribution network in North America, Europe and Asia. Opportunity: With a strong leadership team, Xebec is shifting its business model towards more recurring revenues and higher, more sustainable long-term gross margins. The company is experiencing strong growth in demand for its products and it shows in the financial statements. Sales are booming and the company has crossed the profitability threshold in 2017, after several tough years. With a solid and growing backlog of $71M to be realized in the next 3 years, there is every reason to believe that the company’s momentum could continue and even accelerate in the years to come. About: Ackroo provides automotive, petroleum, hospitality and retail merchants of all sizes a robust, cloud-based multicurrency marketing platform to help attract, engage and grow their customers while increasing their revenues and margins. Through a software-as-a-service-based business model, Ackroo provides an in-store and on-line automated solution to help merchants process gift card, loyalty and promotional transactions at the point of sale, provide key administrative and marketing data, and to allow customers to access and manage their gift card and loyalty accounts. Ackroo also provides important marketing services to assist their merchants with utilizing Ackroo’s technology solution. Opportunity: Thanks to the acquisition of Loyalmark/KESM in late 2017, Ackroo has finally turned the corner and has been cash flow positive ever since. Their foray into petroleum has caught the eyes of much larger players which should drive organic growth moving forward as well as integrations with new technology products like First Data’s Clover Flex platform. More importantly, they are in a very enviable position to roll up the very fragmented gift card, loyalty and marketing segment in Canada and the US. We are very excited to present our top picks for 2019. We hope to see many of you on December 11th! Again, to book a ticket, please click here.